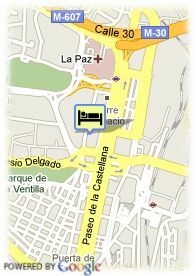 Castellana 261, 28046 Madrid, Spanje. 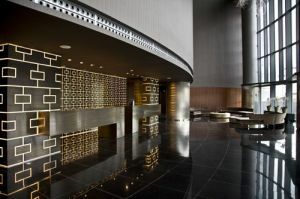 At the Eurostars Madrid Tower your dreams will come true. You will discover Madrid from a different perspective from its 474 modern, fully fitted rooms provided with Skyline motion. Besides, we offer you the possibility to have dinner contemplating the nightfall in the Sierra or relaxing in an exclusive Health Club with a view to the city and placed in the Cuatro Torres Business Area, the new business centre of the capital of Spain, the Eurostars Madrid Tower is a reference in the area of hotels in the 21th century.